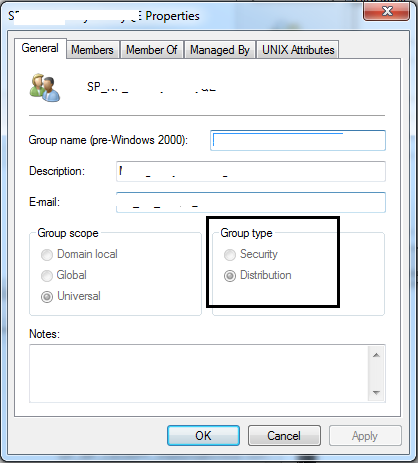 Active Directory groups should be a created as Security group (not Distribution group) to get listed in SharePoint People Picker. Distribution groups cannot be used as security instances, such as assigning permissions to them. SharePoint uses Active Directory to authenticate a user. In order to do this, it must be a security principle that SharePoint is working with. Distribution groups are not security principles.